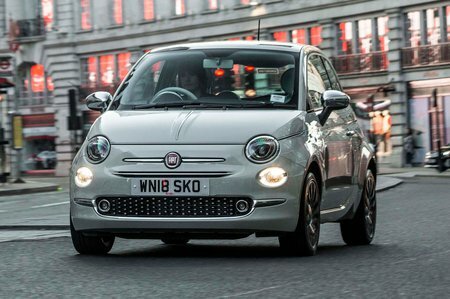 Fiat 500 0.9 TwinAir S 3dr 2019 Review | What Car? What Car? will save you at least £714, but our approved dealers could save you even more. This two-cylinder engine offers a welcome step-up in performance over the entry-level 1.2. However, the power delivery is coarse and unpredictable, and too many engine tremors find their way into the cabin. Worse still, the Twinair engine isn’t anywhere near as efficient as claimed. A Dualogic semi-automatic gearbox is optional on this engine, but is best avoided.